So now that you’ve had a mobile app for a few months now, how do you keep your current users engaged and attract new users at the same time? We often hear from clients that they want to be consistent with their app content and keep their users coming back for more, but they do not want to dedicate a lot of time towards their app each week. The truth is, as with any marketing channel, your app will need SOME amount of attention if you want to maximize the value you get from it. However, the good news is you don’t necessarily need high effort to derive ROI – just high intentionality. In general, our approach to app marketing is to focus on those LOW effort activities that create HIGH value. So without further adieu, here are five ideas to get you started on the road to high app engagement! 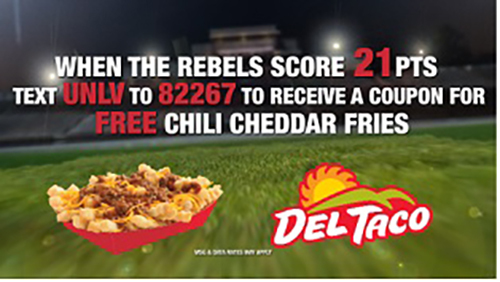 One of our FanX partners, UNLV, takes full advantage of their partnership with Del Taco, as they offer free chili cheddar fries to all fans when the football team scores 21 points in a game. This promotion runs in a promotion card in the app when the team hits the 21 point mark. One simple way to attract users is to make a public address announcement during a game or event. Which is a great start – it’s simple, typically free and you have a captive target audience. However, as great as the classic PA read is, going one step further is combining that with a call to action that will drive fans to get out their devices and download (or use) the app at that very moment. While there are many ways to attract fans through that announcement, one tactic we’ve seen be successful is to pair your PA read with a scoreboard graphic or video that shows how the app works and the benefits it will bring your fans. Want to take it a step further? Try including an incentive to download the app right then and there, or have a coach or player be the one to share the app benefits with your fans via videoboard. Pro Tip: Partner with a local merchant to provide your incentive to download - free t-shirts or pizza can win hearts and minds! 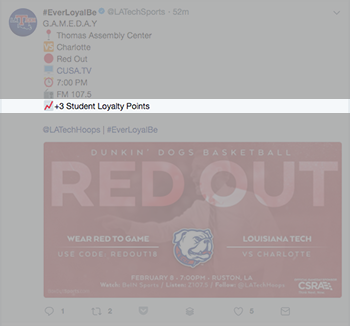 Louisiana Tech does a great job of promoting the app on social media, as they incorporate a student rewards system in their fan guide. Social media is going to be a key part of any good app promotion strategy. But, instead of a straight-forward "hey download our app!" there are a few simple ways you can amp up your social promotions. As with your videoboard, you can use video testimonials or calls-to-action on social from your coaches, mascot, famous alumni or even your fans to share why they love your new app. If fans see firsthand what kind of content they will get access to, they will be more likely to download the app. In addition, social media can be effective when the download link is prominently included in Instagram captions, Tweets, and Facebook posts. 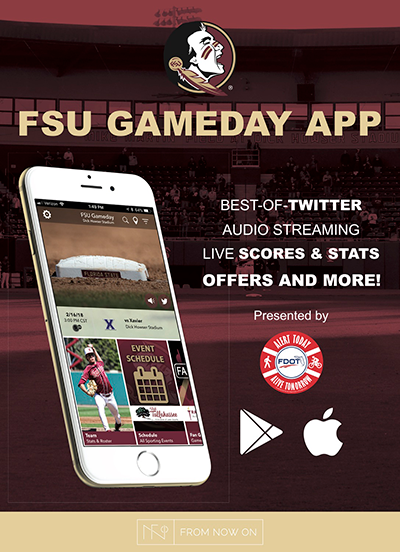 Often times many schools will share a pregame post with separate links for live stats, audio, and video - so why not include the link to your app where fans can access all three of those things in one place? This also gives you a ready-made opportunity for consistent promotion of your app, something that will be key to drive ongoing downloads and usage. Lastly, don’t forget the fun parts of social media: gifs and motion graphics! Keep your followers engaged with your content by adding fun gifs and videos promoting the app. Once you have posted, make sure to routinely pin your social media posts promoting your app to increase visibility with your followers! Incorporating the app on your school’s website is a crucial first step in your promotional strategy. As the digital home for your programs, your website receives a ton of traffic from your core fan base – a group of fans that are key for driving word-of-mouth and secondary promotion of your app. Adding a banner advertisement or a press release can drive those fans to start using the app as their new one-click go-to for updates instead of logging on their computers or mobile web when trying to find the time of an event. Another way to utilize website advertisement is by placing information about the mobile app in the “Fan Zone” section, where many schools place information about their social media channels. Loyola University – Chicago displays a large banner on the homepage of their website, which is a great way to attract website viewers to download the app to get live game updates and exclusive promotions instead of visiting the website. The Rutgers Scarlet Knights strongly promote their FanX app with their other social media sites in a banner on their website. Florida State University displays this poster on campus to promote the app. Placing this in bookstores and campus dining areas will attract donwloads! One unique thing about promoting an app for your athletic programs is that you have direct access to your target audience every day! One of the oft-forgotten but key ways to promote your app with students is taking marketing back to the basics by prompting downloads from key signage placements on campus. To get started, try using signage with QR codes to take the effort out of the task to download for fans. The easier and more efficient you can make the download process, the more fans you will gain and retain. QR code posters are particularly helpful when placed at highly trafficked locations on campus like the bookstore! This promotion technique is especially helpful for events on campus, or event-based apps that attract fans from all over. Once you get comfortable using QR codes to promote your app, try taking things to the next level and include a QR code on all your physical tickets! Curious about QR codes? Learn why they are making a comeback here! 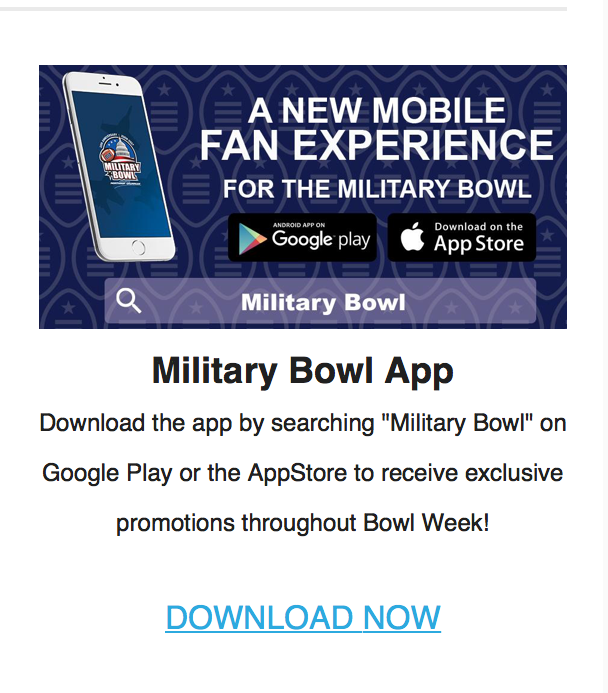 The Military Bowl used an email marketing campaign to promote their app last year. As you can see, it includes a clickable link so users will be taken directly to a link for download. One goal of any app promotion strategy is to create raving fans that can go spread the word to their friends. While word of mouth may be more outcome than technique, there are a few simple tactics you can use to help drive the buzz about your app with fans and help them influence other fans. To truly drive secondary promotion of your app, you can't rely on face-to-face interactions between fans alone. Wherever you promote your app, encourage fans to submit ratings and reviews to gain credibility. Many frequent app store visitors check out app reviews and take the rating and comments into serious consideration before deciding whether or not to download the app. Think about how you can create opportunities through tools like social media or email to share your app with friends. Email in particular can be a valuable tool as a key component as the voice of your programs. Include a call-to-action to download your app in staff email signatures and newsletters. Try creating a communication from your AD or key coaches to alumni, season ticket holders or students sharing why your app is a key new component of the fan experience. 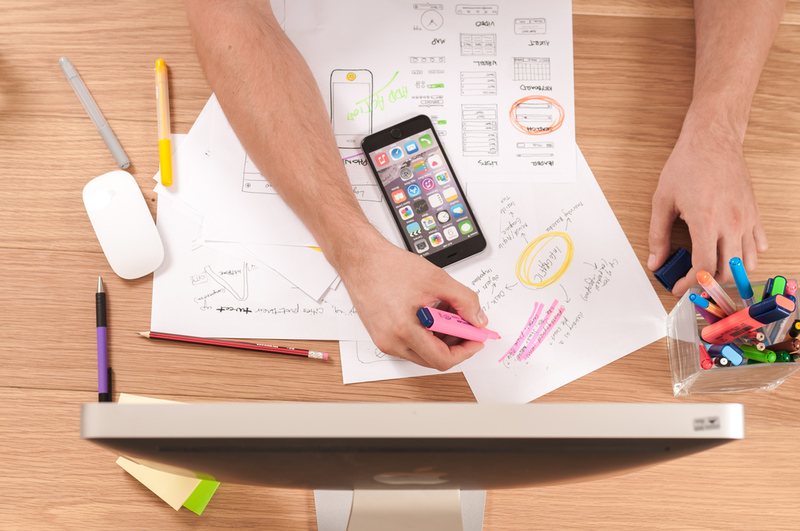 Now that you have read through our 5 ways to market your mobile app, it's time to take action! Whether you are using one of our suggestions, or a best practice of your own, we want to hear from you! Share with us @FromNowOnExp! Wondering if a mobile app for fan engagement is right for your school or organization?